Sam Morsy saved Wigan from a shock defeat at Gillingham but a 1-1 draw means they fall off the top of League One. Morsy levelled with five minutes remaining after Tom Eaves had put the managerless Gills in front just before the hour mark, but Shrewsbury move back to the top of the table. The best chances of the first half fell to Latics. Dan Burn headed over the crossbar from a corner and Michael Jacobs' shooting was a constant threat, but Gillingham played with belief and would have taken a certain lead if Chey Dunkley had not stolen the ball away in a last-gasp challenge on Eaves. Eaves made up for it after 55 minutes when he glanced home Sean Clare's cross for the opener. They could have doubled their lead eight minutes later when Eaves played in Josh Parker, who pulled a clear shot wide. In the closing stages, a frustrated Wigan poured forward and got their reward when Morsy calmly curled the ball into the net from 25 yards. 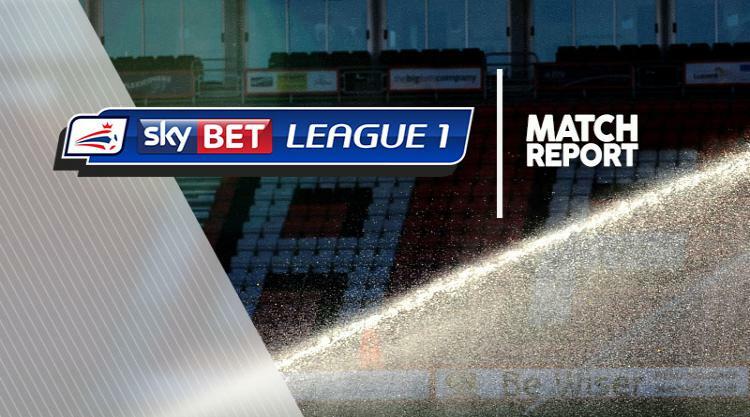 Wigan chased a winner but neither side were able to claim three points, meaning Wigan stay five unbeaten while caretaker Steve Lovell has now led Gillingham to a win and a draw in the last four days.